The Bucks Stopped Here, originally uploaded by QuakerVille. 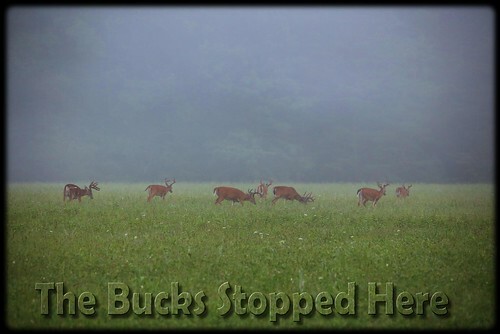 This is an early morning shot of 4 big bucks in the early mist. I was fortunate to capture this once in a life-time shot. I went back to this spot all week long to try another shot and there were no deer.